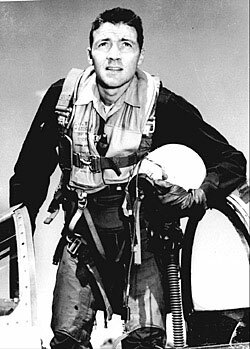 Observation-Orientation-Decision-Action (OODA) – Colonel John Boyd (USAF) was the theorist behind the OODA loop. Essentially, the quicker a fighter pilot can execute the OODA loop, the more of an advantage that person has over their adversary. Observation – Observe our environment – what is happening when we spot a defect? Has it happened before, is it known? If its new, there may be other related bugs (bug clustering). Beware of anything that looks out of the ordinary or just doesn’t ‘feel right’. Orientation – lets get our bearings – how did we get that bug? What were the steps? Is it easy or hard to reproduce? What are the triggers? Decision – what are we going do with the bug? How do we prove our case to management and the developers? How severe is the defect? Are there any other bugs lurking around? Action – Prove it that it exists, show that it exists and make it visible to those that are responsible for making the decision (Action) to do something about it! The key is observation which can take many forms. If we are able to observe what we are testing (not just look at but in-depth observation) then we are able to draw out the necessary conclusions that allows us to satisfy our curiosity of the system at hand. With that curiosity we are then able to figure out where the bug appears, decide the appropriate way forward and act on it. Testing by nature is curiosity unleashed on a grander scale and with some sort of framework around. What better job to do than satisfy ones curiosity?